Tue., 3 Mar. - Sat., 14 Mar. Mon., 2 Mar. - Sat., 14 Mar. Sun., 12 May - Mon., 3 Jun. Sat., 11 May - Mon., 3 Jun. Tue., 9 Jul. - Wed., 28 Aug.
Fri., 2 Aug. - Tue., 3 Sep. Sat., 20 Jul. - Thu., 8 Aug. Sat., 24 Aug. - Sat., 21 Sep.
See all 120 properties in Lamezia Terme Intl. 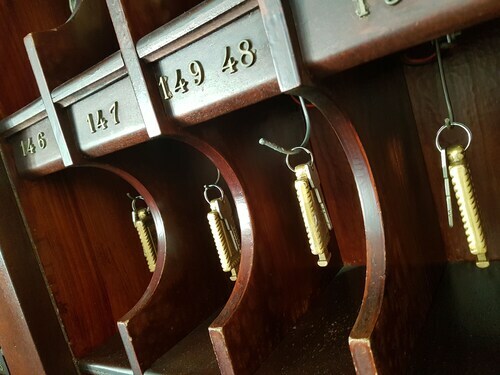 Situated near the airport, this hotel is within 9 mi (15 km) of Terme Caronte Spa, Centro Commerciale Due Mari, and Museo Diocesano. Piazza Mazzini and Curia Vescovile Di Nicastro are also within 9 mi (15 km). 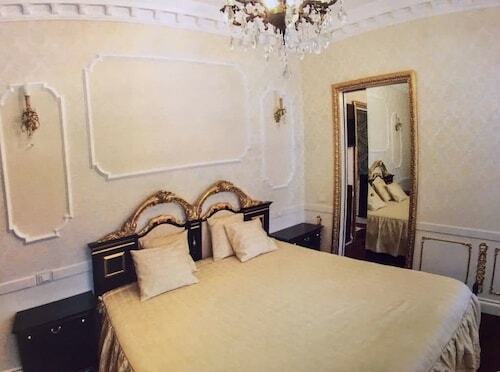 Lamezia Terme Central Station is only a 1-minute walk. Situated in Lamezia Terme, this hotel is within 9 mi (15 km) of Terme Caronte Spa, Centro Commerciale Due Mari, and Museo Diocesano. Piazza Mazzini and Curia Vescovile Di Nicastro are also within 9 mi (15 km). Lamezia Terme Central Station is only a 1-minute walk. 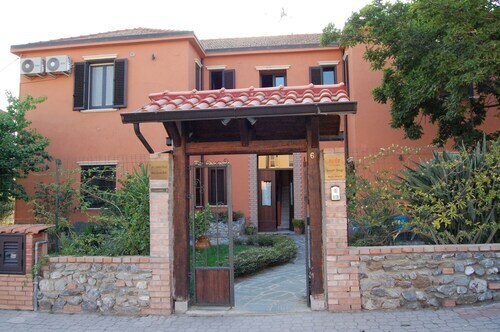 Situated in Lamezia Terme, this bed & breakfast is within 9 mi (15 km) of Terme Caronte Spa, Centro Commerciale Due Mari, and Piazza Mazzini. Museo Diocesano and Curia Vescovile Di Nicastro are also within 9 mi (15 km). Lamezia Terme Central Station is 6 minutes by foot. 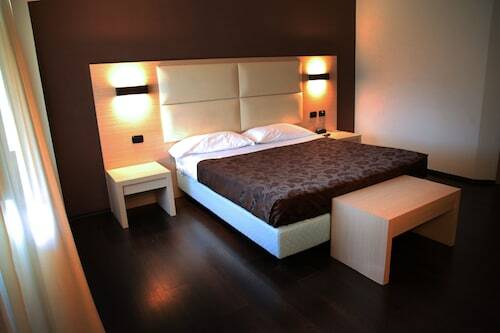 Situated in Lamezia Terme, this hotel is within 9 mi (15 km) of Terme Caronte Spa, Museo Diocesano, and Piazza Mazzini. Centro Commerciale Due Mari and Curia Vescovile Di Nicastro are also within 9 mi (15 km). Lamezia Terme Central Station is 5 minutes by foot. 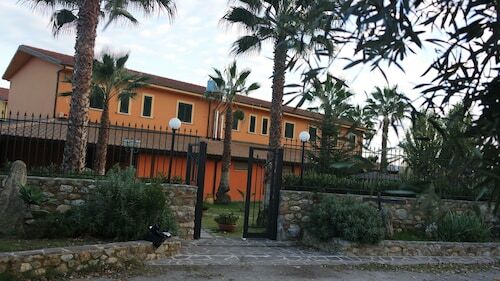 Located in the heart of Lamezia Terme, this property is within 9 mi (15 km) of Terme Caronte Spa, Centro Commerciale Due Mari, and Museo Diocesano. Piazza Mazzini and Curia Vescovile Di Nicastro are also within 9 mi (15 km). Lamezia Terme Central Station is 7 minutes by foot. 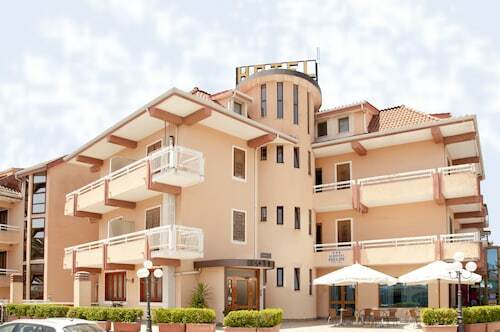 Located in Lamezia Terme, this beachfront hotel is connected to the airport and within 6 mi (10 km) of Museo Diocesano, Piazza Mazzini, and Curia Vescovile Di Nicastro. Centro Commerciale Due Mari and Terme Caronte Spa are also within 6 mi (10 km). 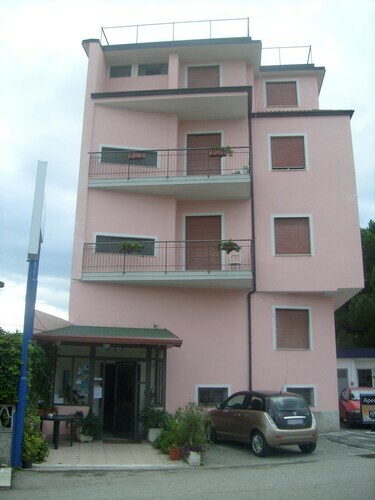 Situated in Lamezia Terme, this townhouse accommodation is within 9 mi (15 km) of Terme Caronte Spa, Piazza Mazzini, and Centro Commerciale Due Mari. Museo Diocesano and Curia Vescovile Di Nicastro are also within 9 mi (15 km). Lamezia Terme Central Station is only a 1-minute walk. Located near the beach, this family-friendly farm stay is within 6 mi (10 km) of Terme Caronte Spa, Museo Diocesano, and Piazza Mazzini. Centro Commerciale Due Mari and Curia Vescovile Di Nicastro are also within 9 mi (15 km). Lamezia Terme Central Station is 16 minutes by foot.